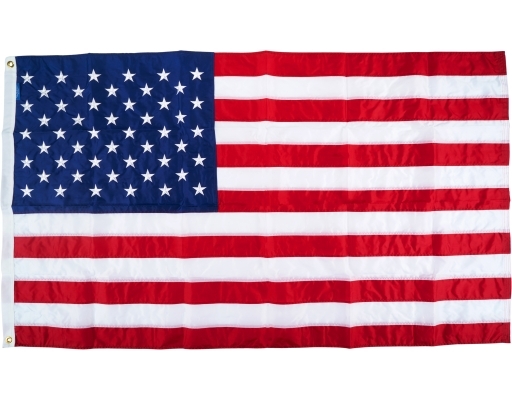 These heavyweight nylon flags are beautifully constructed with embroidered stars, sewn stripes, and reinforced fly ends. This 100% nylon material is specifically manufactured for outdoor use. 3' x 5'. On June 14, 1777, the Second Continental Congress of the United States passed the Flag Resolution: "Resolved, That the flag of the thirteen United States be thirteen stripes, alternate red and white; that the union be thirteen stars, white in a blue field, representing a new constellation." 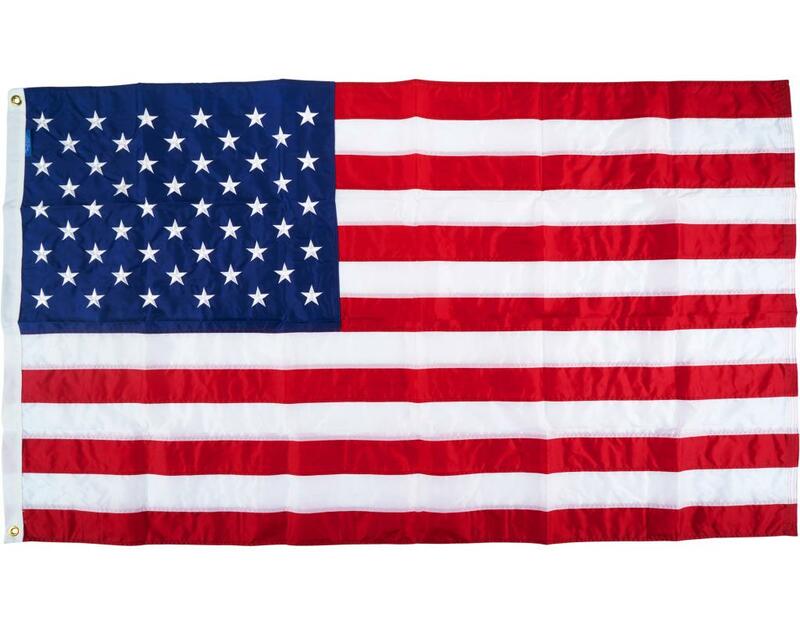 Shop with confidence knowing that all U.S. flag materials are made in the U.S.A. and then sewn together by the most experienced craftsmen in our nation. This process assures you consistent quality and value.